The Adelaide Shoulder Bag made with a tough high-quality PU leather. It comes in three different colours, suits every vintage soul’s needs. It has many great features; such as large storage capacity, multiple pockets in different sizes for better organisation. Fast delivery for this shoulder bag. I am very happy, thank you Vincov. The Camera Bag is excellent, great interior to protect my gear! I wanted a smallish portable bag for my Panasonic Lumix Micro Four/Thirds camera, as an everyday carry-around (instead of hauling my full sized cameras everywhere), and this bag fits the bill admirably. 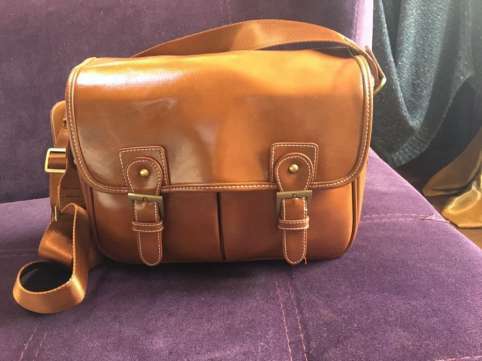 I wanted to find a modern bag with this ‘pleather’ look because it’s reminiscent of my grandfather’s camera bags, which were the standards in the 40s/50s. The leather has a handsome classic ‘fake’ leather look, which sounds strange but it’s really true – no-one is ever going to mistake it for real leather, but it looks good quality and not cheap. 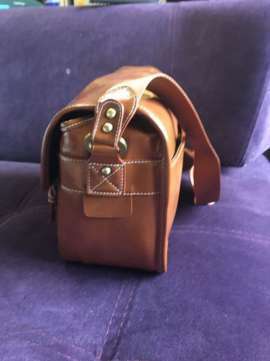 The bag is very well made, with heavy quality PU leather and good strong stitching, and a heavy nylon strap that is well riveted onto the bag loops. And no those closure belts are NOT actual buckles, but are the magnetized type – I don’t mind that at all, for what I’m using the bag for I like being able to access the camera quickly, and the magnets re-connect quickly and securely enough when I need to close the bag. It has two pockets on the front which are large enough to carry business cards, additional memory cards, or a couple of batteries. As for the interior, it comes with a good quality padded insert with two Velcro-attach dividers, giving the option to create three compartments. HOWEVER three compartments are VERY small, if you’re going to carry a camera you can only do two divisions. Those two divisions are good enough to carry a small DSLR or a micro four/thirds camera with an extra lens or flash, which is basically what a bag like this is designed to do. I would not pack a full-sized DSLR into a bag of this size, unless you’re going to make it dedicated to that ONE camera and it’s lens alone, without any other accessories. 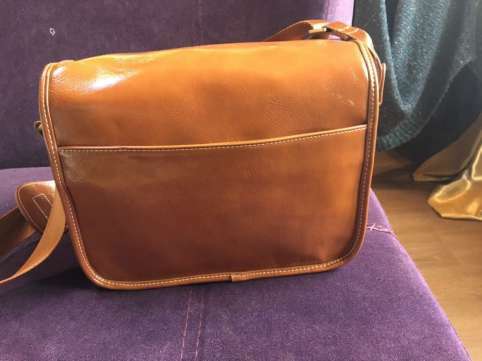 So, in summary, I like it a lot for a small camera everyday bag, it’s sturdy and well built and has a nice retro look which is a very nice change from black nylon. Nice for the price!